When it comes to staying green, energy efficiency is a big factor. Making sure that your appliances are using the least amount of energy possible to reduce your carbon footprint is very important. For most appliances, it is easy to figure out which is better. But what about light bulbs? There is a lot of discussion over the advantages and disadvantages over LED vs CFL bulbs. Some people are confused about the exact difference between the two. Let’s try and put this discussion to rest. Which is better, CFL or LED light bulbs. To start off, it is important to know the exact difference between CFL and LED. LED stands for light emitting diode. These bulbs produce light when an electric current passes between them. CFL stands for compact fluorescent lamp. These bulbs make light in a little more complicated way. First, an electric current flows between the electrodes at each end of the gas-filled tube. The reaction creates ultraviolet light and heat, which is then changed to light when it hits a phosphor coating on the bulb’s interior. The entire process can take up to 30 seconds. Basically, CFL lights, most popularly are the curly bulbs, and LED bulbs are the longer bulbs. There are a lot of things that go into this comparison of LED vs CFL. The cost of the light bulbs, the power of each, the amount of light emitted, and of course, efficiency. And when looking at LED vs CFL, you have to take all of that into consideration. In addition, there are also some terms one has to know to accurately make the comparison. Two big ones are watts and lumens. A watt refers to the amount of energy that is required to power a bulb. Lumens, on the other hand, tell you the actual amount of light being emitted from the bulb. Until recently, most homes were using incandescent bulbs. These bulbs use heat to generate light. Unfortunately, 90% of the power required to provide the desired brightness is emitted in heat rather than visible light. For this reason, incandescent bulbs are being phased out, much like that friend who, for some reason, was never available to hangout. In fact, in the United States, these bulbs were completely banned by 2014. The first player up in the LED vs CFL battle is CFL. But, what are CFL bulbs. CFL were created some time before LEDs came along. These bulbs create light from a mix of phosphors inside the bulb. The creation of these bulbs was to replace the inefficient incandescent bulb. When pit against the incandescent bulb, both producing the same light, CFLs use ⅕ to ⅓ the electric power and last eight to 15 times longer. CFLs come in a variety of different shapes and styles. 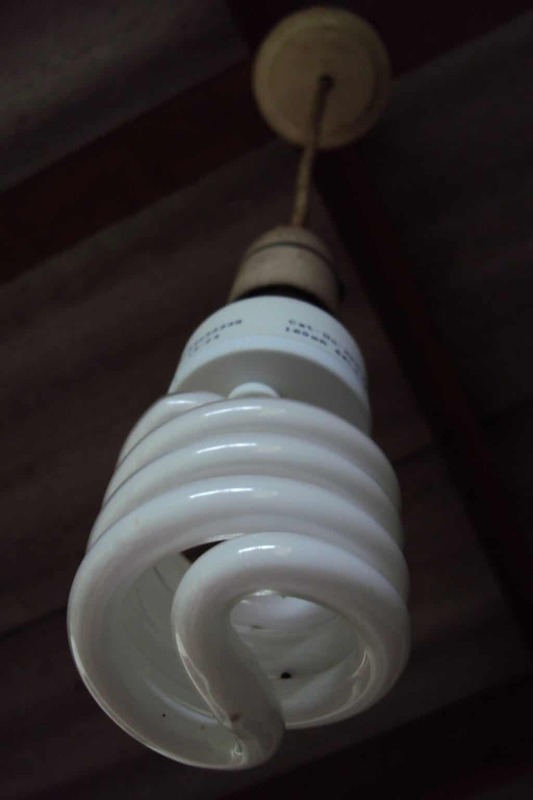 These include the most popular Spiral bulb, the also fairly popular triple tube bulb, standard dome bulb, globe bulb which are commonly used in bathrooms, flood lamps used mostly in outdoor applications, and the candelabra used mostly for aesthetic purposes. Efficient- CFLs, as said before, last up to 15 times longer than their predecessors. A 22 watt CFL has about the same light output as a 100 watt incandescent. CFLs also use 25-35% less energy. Cost- While more expensive than incandescents, the price difference is not too bad. Right now, you can pick up a four pack of spiral bulbs for just under $6.00. In terms of electric cost, replacing a 75 watt incandescent with a 18 watt CFL can save about 570 kWh over the lifetime of the bulb. Averaging about 8 cents per kWh, that equals a savings of $45. Quality Light- Newer CFLs will give a warm and inviting light instead of the “cool white” of older fluorescents. Also, the newer CLFs are electronically ballasted which means that you will not get that annoying flickering effect of older fluorescents. Versatile- You can basically use CFLs anywhere. Ceiling lights, lamps, outdoor lighting. On/Off- CFL bulbs are fairly sensitive to frequent turning on and off. While their official lifespan is around 10,000 hours, that is drastically reduced in applications where the light is constantly switched on and off. Avoid the use of CFLs in areas like closets with automatic lights, cooking lights, and movement sensor lights. Dimmers- Not all CFL lights can be used in tandem with a dimmer switch. Using a regular CFL with a dimmer can shorten the lifespan of the bulb. Outdoors- While CFLs can be used outdoors, the bulbs are very sensitive to cold temperatures. A separate fixture should be added to protect the bulb from the elements. Area Lighting- CFLs are not ideal for areas that require directed light. The light that these bulbs emit, tends to be more on the broader side than focused. Avoid using these in retail situations. Mercury Content- Possibly the worst issue the CFLs face is their mercury content. All CFLs contain small amounts of mercury which is a toxic metal. This chemical can be released if the bulb is broken or when being thrown away. This can also contribute slightly to land pollution. Next in the lineup of LED vs CFL is the LED, light emitting diode. When these extremely energy-efficient lights were first developed, LEDs were limited to single-bulb use in applications like instrument panels, electronics, pen lights, and others. Recently, they have been seen in use for strings of outdoor lights and almost every christmas light you buy. Later, manufacturers wanted to expand the application of LEDs. This was done clustering the small bulbs together. The first usage of these new cluster lights was seen in flashlights and headlamps. But today, LED bulbs are made using as many as 180 bulbs per cluster and encased in diffuser lenses, which spread the light into wider beams. Now, they are available with standard bases which can fit into any common household light fixture. LED bulbs also come in all the same styles as CFLs. Long Lasting- LED bulbs last up to 25 times, or more, longer than incandescents. 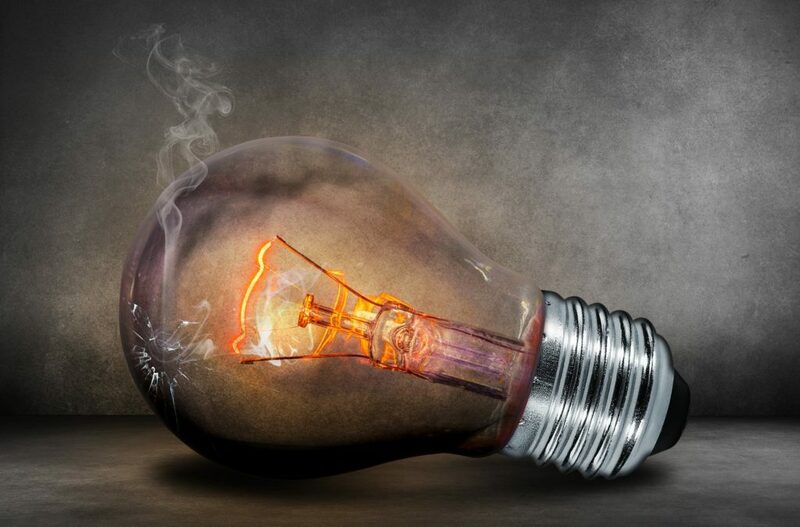 Durable- since LED bulbs do not have a filament, they can not receive damage under the same circumstances that an incandescent bulb would receive damage. They are solid, which means they hold up very well to jarring and bumping. 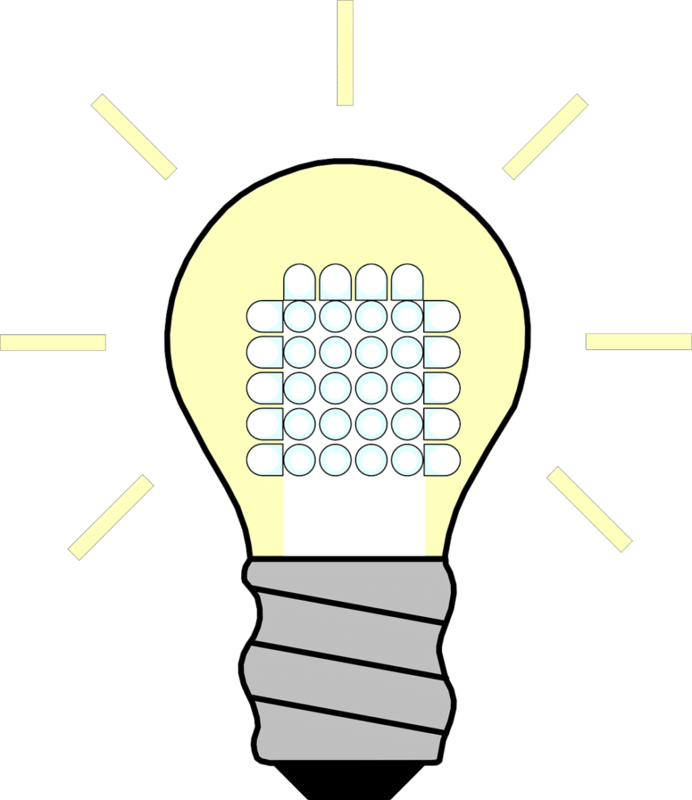 Cool- LEDs do not build up heat in the same way that incandescents do. Though like all electric items, they do build up some heat, which is dispersed with the use of a heat shield, usually included with the bulb. More Efficient- LED bulbs use only 2-17 watts of electricity (⅓-1/30 of incandescents). Cost Effective- Though LED bulbs may cost quite a bit more initially, the cost is lower in the long run. LED bulb use was first adopted commercially, where maintenance and replacement costs were expensive. Now, the cost of new LED bulbs has gone down by a great deal, and continues to lower. Because of their durability, energy efficiency, and lifespan, LEDs save a lot of money over time. Green Light- because they require very little energy to be powered, using solar panels becomes more of a viable option. Solar panels have the potential to save a ton of money on electric and generates zero carbon dioxide. Cost- While the cost is a bit higher outright (about $36 for just one bulb), the overall savings are much more cost effective. However, the outright cost is what most people will be seeing and it can affect their choice greatly. Just remember, LED bulbs last up to 25 times longer than incandescents. Averaging 50,000 hours of light. Light- While standard LED bulbs do give more directional light rather than area spanning light, there are other bulb styles you can buy depending on your needs. Standard LEDs also give the “cool white” light that can be a little too artificial. Though other bulbs can be bought as well, that give a warmer light. Now onto the real grudge match, LED vs CFL. Which one is better, more efficient, better cost efficient as well. Well from the pros and cons, we pit CFLs and LEDs against the dying incandescents. Both are far better than their ancestors. While both, obviously cost more than the old incandescents, they are worth the money. CFLs seem to have more cons on their side than LEDs, however, the biggest advantage they have going for them is the price. That will definitely be a deciding factor for most people. Let’s compare the cost here, LED vs CFL. While yes, outright CFLs cost much less than LEDs. Four dollars compared to almost $36. However, in this instance, you get what you pay for. The average lifespan for LEDs is 50,000 hours for one bulb. That is five times longer than CFLs. Kilowatts per year for LEDs is only 228, which is nearly 300 less than CFLs which is around 530 per year. Already you can see the LEDs will be saving you a lot of money on your electric bill. Annual operating costs for CFLs will be around $53.06, with LEDs costing $22.76 every year (subject to change depending on electricity prices). Even though CFLs are cheaper, when they break or burn out, they become much less convenient. Both bulbs have a certain something that makes them the better choice. For CFLs, it is the price, however for LEDs, they have a little more than one. Besides the fact that LEDs last much longer than CFLs, LEDs also do not contain mercury. This is a very dangerous heavy metal that can be found in fish and was once used in thermometers. If a CFL bulb were to break, that mercury would be released into the atmosphere, contributing to air pollution. If these bulbs are not thrown away properly, the mercury can leak into the ground during decomposition, contributing to land pollution. However, the first is more likely, because these bulbs are not very durable. Continuing the battle of LED vs CFL, let us do a general comparison between the two bulbs. In terms of brightness, if both put out 2600-2800 lumens, LEDs would use anywhere between 25-28 watts, with CFLs using between 30-55 watts. Ignoring for the time being that LEDs max wattage is still 2 watts less than CFL’s. Check out the watt span. LEDs only have a difference of 3 watts and CFLs, a difference of 25 watts. CFLs are much more difficult to gauge. It is probably safest to plan for CFLs using their max wattage. In addition, most LED bulbs are compatible with dimmer switches and do not show an effect in their lifespan when constantly being switched on and off. Their heat production is much lower and more easily dispersed with the use of a heat shield. CFLs actually release 80% of their energy as heat, with incandescents releasing 90%. That means your air conditioner is going to have to work a bit harder to counteract the additional heat. LEDs are also not sensitive to heat or humidity, unlike CFLs. There is some sensitivity to high temperatures, however that is seen across the board. One of the cons of CFLs and LEDs is their usage of light. CFLs being better for area lighting while LEDs are better for directional. However, LEDs have a solution for this issue. There are bulbs available that provide a wider range of light emitted. Giving an edge to LED over CFLs. 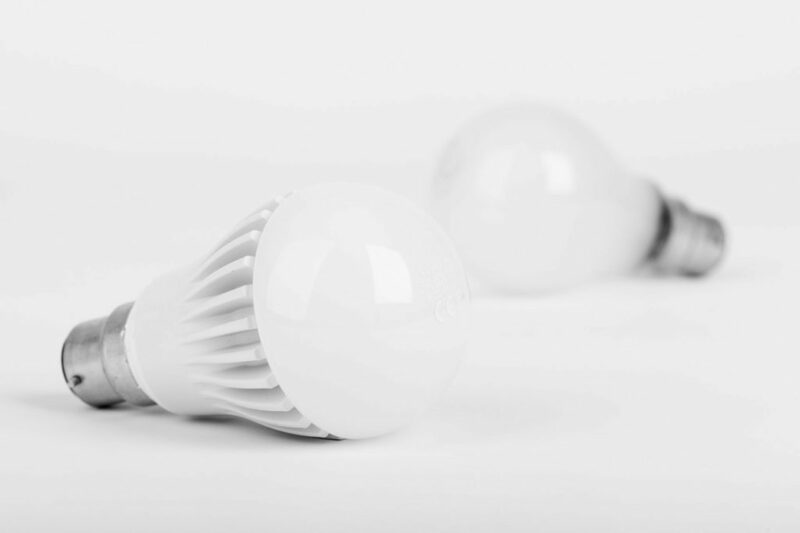 Just how efficient are LEDs more than CFLs. The Department of Energy estimates that there are at least 500 downlights in U.S. homes, with more than 20 million sold each year. Their estimate is that both CFL and LED lighting could decrease downlight wattage by at least 75%. Energy.gov also states that the same LED string of holiday lights could still be functional 40 holidays from now. The winner between LED vs CFL is quite clear. LEDs are by far more efficient as well as last far longer. LED light bulbs outperform CFLs at almost every step. While the initial cost is higher, using LEDs opens up a wide range of energy saving possibilities, including the much easier use of solar panels. Also, LEDs offer the same style bulbs that CFLs offer. While installing LED fixtures is an even better way to go green, you can also use LED bulbs in your existing fixtures. So, in short, the benefits of LED bulbs make it the winner of this battle, hands down.